Brooklyn, NY - Hours after being castigated for its decision to end separate swimming hours for women at a Williamsburg pool, the city’s Department of Parks and Recreation has reversed its decision and will allow the program to continue. 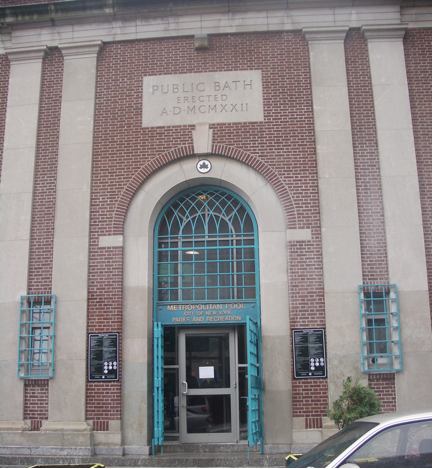 Gender segregated swimming has been offered at the Metropolitan Pool and Recreation Center on Bedford Avenue is Williamsburg for years, with women’s only hours offered from 9:15 AM to 10:45 AM on Mondays, Wednesdays and Fridays and between 2:45 PM to 4:45 PM on Sundays. Several days ago a group of Chasidic women at the pool were told by a lifeguard that the program was to be terminated on June 11th. Unhappy with the changes, some of the women reached out to Assemblyman Dov Hikind, who attempted to intervene on their behalf. In a press release sent out this morning, Hikind called upon the Department of Parks and Recreation to reinstate the women’s swimming hours, noting that the pool was open to all women of any race or religion during those hours, not just members of the Chasidic community. Hikind also reported that those who swam at the Williamsburg pool during the women’s hours said that they never saw anyone else waiting to use the facility after they left. Hikind said that he was notified by City Hall this evening that the women’s swimming program would be continuing and he thanked Mayor de Blasio for resolving the problem in a timely manner. Hikind also praised the women who contacted him and made him aware of the problem. “It just goes to show you that instead of just accepting what appears to be a bad decision, by standing up and speaking out, they were able to get things done in a very real way,” said Hikind. So now get to work on the same-gender restrooms. Dov does it again for frum community !! if there was a couple of hours a week set aside for the heiliga transgender, the city wouldn't of had a hava amina 2 even think of depriving them. How is this even remotely legal? Good o'l Hikind. Why is Hikind dealing with people outside his district all the time? Why aren't these women working? If they have time to swim they have time to work and shouldn't be getting a dime in benefits. Why are you posting on blogs insted of working? They actually do. Thank you Dov Hikind. The only person who is always there for us. You think? Most posters here are just instigators. Btw I read a lot of comment boards v.i.n, is one of the dirtiest in fighting and name calling. Yeah but wait till a transgender he who becomes a she wants to swim during women's hours. That's a scary thought. I agree with you I bet they are get Medicaid, Section8 and food stamps while us shlubs who work don't have the time to do anything since we are paying for THEIR enjoyment. This is why DOV is really a Dem, he likes to spend and spend. Jew haters find a way to spread their vitriol on every topic. Idiot. Oh no, we must liberate these women! Surely they want to be swimming with the men, but are being held back by these chauvinist, mysoginist regulations!